Our 12" paper striped Easter Egg is available in a wide range of candy colors. These cute art tissue puff globes can be hung from the ceiling, used as a centerpiece, or as part of a window display. Perfect for Easter, children's party's, birthdays and events. 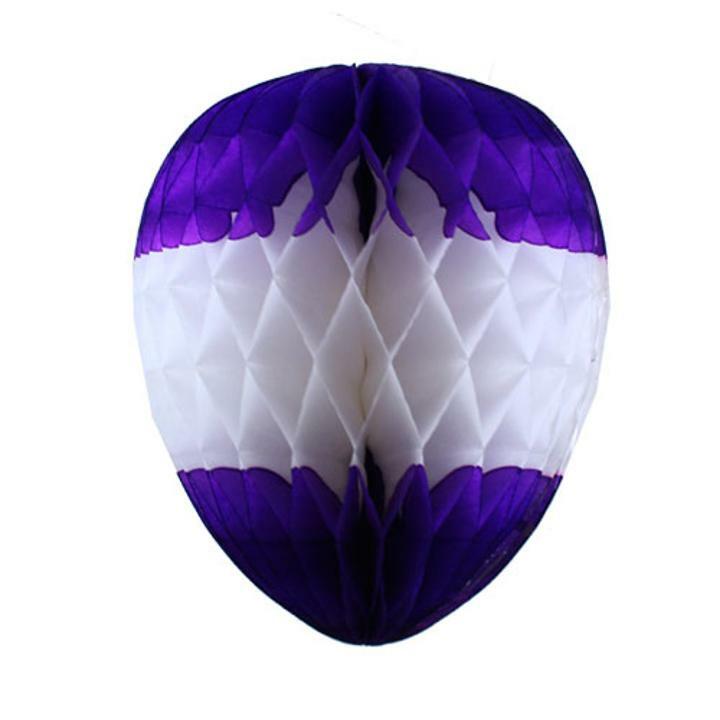 One 12" purple and white Easter egg decoration. L: 12.0 in. W: 4.0 in. H: 0.25 in.